Color: Pale yellow to golden yellow liquid. Aromatic Description: Typical and Characteristic of Carrier Oils. 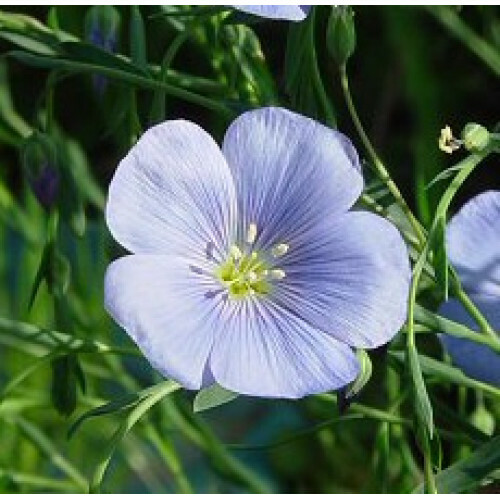 Common Uses: Organic Flax Seed Oil is reputed to be an excellent treatment eczema and psoriasis. It is often added to other carrier oils and creams and lotions in order to add skin strengthening properties. It is also an anti-inflammatory and is good for preventing scarring and stretch marks. Organic Flax Seed Oil can also be used to nourish the hair. Consistency: Typical and Characteristic of Carrier Oils. Absorption: Organic Flax Seed Oil will leave a very oily feeling on skin.